by GARY YAMASAKI The idea for this blog post actually has its roots in a writing project of mine that is not focused on point of view. Last year, I was contacted by Fortress Press to see if I would contribute a volume to a new series they were developing–Reading the Bible in the 21st Century–dedicated to approaches to interpreting the Bible that have emerged within the past fifteen years. Specifically, they were interested in the way I look to storytelling techniques used in moviemaking as a means of illustrating those same storytelling techniques in action in biblical narrative passages. I was excited to take on this project, and my volume in the series is entitled Insights from Filmmaking for Analyzing Biblical Narrative. Chapter 2 of this book develops a new approach to analyzing biblical narrative texts which entails considering a number of components of the experience of a movie (a cinematic story), the idea being that when we take these components into consideration while analyzing biblical narrative texts, we end up treating these texts more like the stories they are than would happen if approaching them with traditional interpretive methods, even traditional narrative-critical methods. Chapter 3 then delves into the findings of traditional interpretative work on the Genesis account of the near-sacrifice of Isaac (22:1-19), comparing and contrasting these findings with those that emerge from utilizing the approach developed in chapter 2. While working through David Cotter’s Berit Olam commentary on Genesis, I noticed the following in his coverage of the statement “So the two of them walked on together” (v. 8) following Isaac’s asking about the absence of a lamb for the offering and Abraham’s answering that the Lord would provide: “The author uses point of view cleverly. . . .To mention here only its most obvious form, perceptual point of view, the reader is left agonizingly behind as father and son draw off together . . .unable to hear the unimaginable continuation of their conversation. . . .” (p. 146). It was Cotter’s reference to perpetual point of view that caught my attention, for it made me realize that in the three years of this blog, there has been no mention of literary critic Seymour Chatman’s conceptualization of point of view which includes the “perceptual point of view” to which Cotter makes reference. 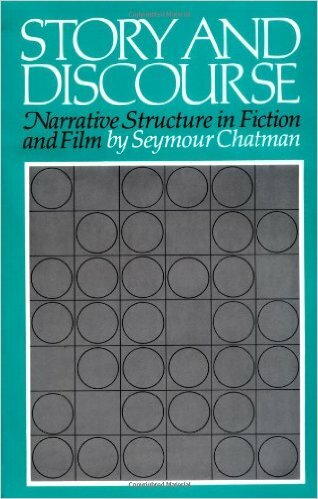 In his Story and Discourse (1978), Chatman offers the literary world a take on point of view differing quite substantially from other offerings on this literary concept. He understands point of view as being used in three senses. The first, entitled perceptual point of view, covers indications by a storyteller of actual perceptions of a character in the story; Chatman gives as an example, “From John’s point of view, at the top of Coit Tower, the panorama of the San Francisco Bay was breath-taking.” The second, conceptual point of view, relates to how facts and impressions are strained through a character’s way of thinking; Chatman’s example here is, “John said that from his point of view, Nixon’s position, though praised by his supporters, was somewhat less than noble.” The third, interest point of view, covers situations where a storyteller positions an audience in such a way as to have it assess something a character is encountering through the character’s interests; his example of this is, “Though he didn’t realize it at the time, the divorce was a disaster from John’s point of view” (pp. 151-52). It should be noted that this typology is based upon the three ways in which the phrase “point of view” is used in common parlance, and not upon literary theory. This being the case, it is possible Chatman’s conceptualization of point of view may not be totally appropriate for the undertaking of literary analysis. Recall that in Everything You Never Realized You Wanted to Know, it was asserted that analyzing point of view in a biblical narrative text involves isolating the particular angle through which the readers are being led by a biblical storyteller to experience the action of a scene. Chatman’s perceptual category fits this conceptualization of point of view, particularly its psychological-plane function. This is the plane related to whether an audience is kept on the outside, or permitted to having inside views, of a character, and that post suggested that even a notice of what a character is seeing qualifies as an inside view, for it takes the readers inside the character’s head to access what visual data is registering in the character’s brain; this dynamic certainly covers the same ground as Chatman’s perceptual point of view. Chatman’s conceptual category understands point of view as having the ability to position an audience vis-a-vis a character’s ideological stance on something; therefore, it is aligned with what we have been calling the ideological plane of point of view. Chatman’s interest category is more problematic. He gives as an additional example of interest point of view the following scenario: “If Jack and Peter are in the first scene, and Jack and Mary in the second, and Jack and Joseph in the third, we identify with Jack simply because he is the one continually on the scene” (pp. 157-58); Chatman suggests this following of Jack reflects a positioning of the audience in the network of Jack’s interests. However, the simple following of a character like this does not necessarily have this effect. In my Watching a Biblical Narrative, I addressed this issue as follows: “it is conceivable that a narrator’s act of following a character is not related at all to the interests of the character; for example, a story may involve the narrator’s following a particular character who has unwittingly become infected with the Ebola virus, with the narrator following this character for the purpose of tracing what other characters are becoming infected by him. The dynamic of a narrator’s following a particular character is better conceptualized as related to Uspensky’s category of spatial point of view.” (p. 38). It would appear this third category of Chatman is in need of some rethinking.